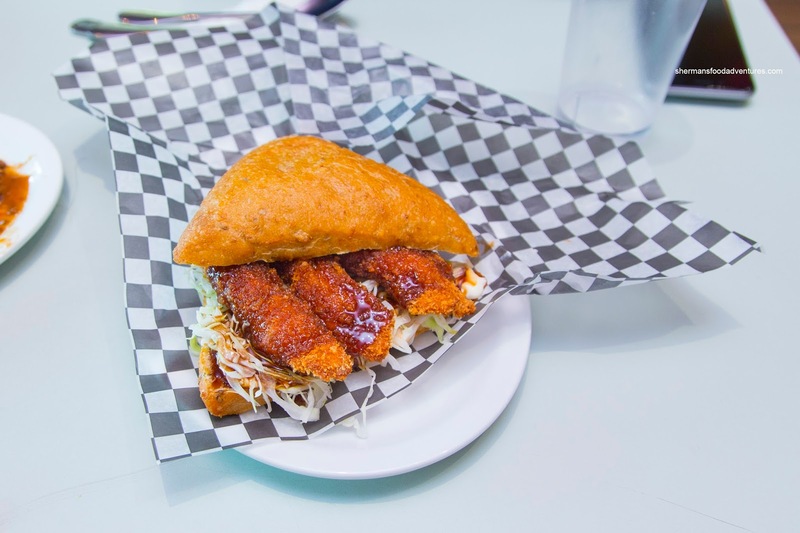 For all of the available types of Japanese cuisine in the Lower Mainland, Yoshoku gets no love. It's all about the sushi and ramen here sprinkled with some Izakaya action. 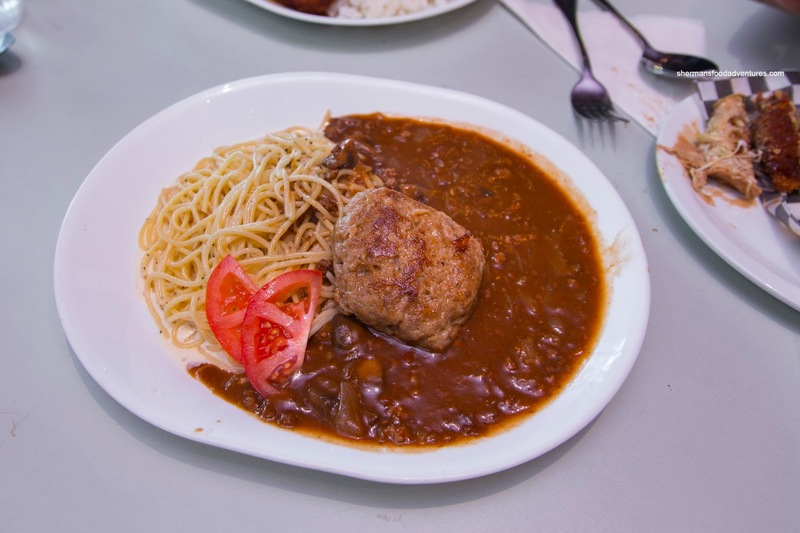 For those who are unfamiliar with Yoshoku, it refers to Japanese-style Western dishes such as their take on Salisbury steak, spaghetti, curry, pork cutlets, sandwiches, desserts and the sort. 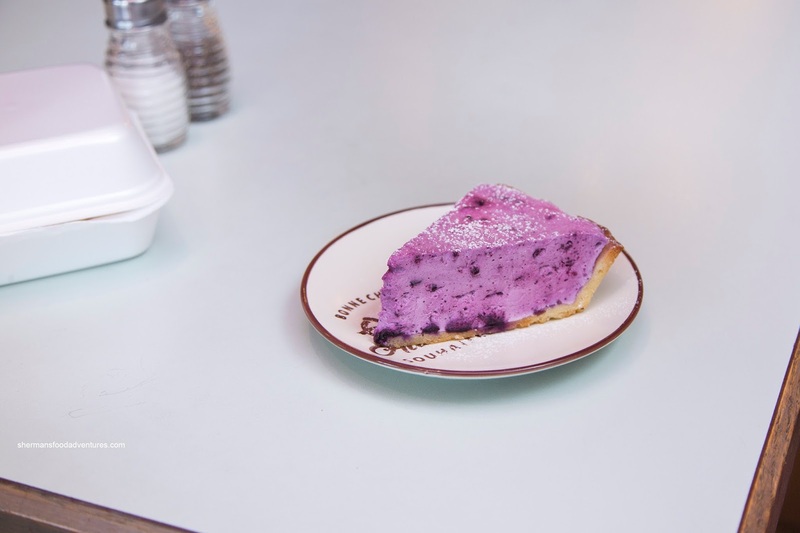 One of the few that exist is Cafe L'Orangerie in Marpole (which was only average in my opinion). It seems like they have branched out have taken over (or more like merged) with the old Poutinerie Jean Talon out on Broadway at Fraser. We decided to check it out after on a beautiful Sunday after ice hockey. 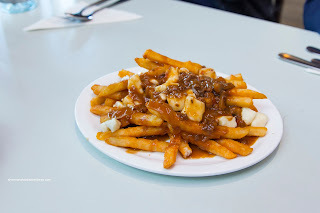 To start, we went with the ol' favourite of Jean Talon with the medium-sized Poutine with home style meat sauce and cheese curds. Exactly how I remembered, the fries were super crispy and light with a starch coating not unlike the one found at Costco. The meat gravy was flavourful, yet not salty with a background beefiness and sweetness from the veggies. With a bounce and light squeak, the legit cheese curds were generous. For myself, I went with 2 dishes starting with the Ebi Sandwich served on ciabatta with shredded cabbage, tonkatsu sauce and sweet mayo. The crispy breading on the ebi held up to the sauces while the shrimp itself had a sweet snap. There was an obscene amount of sauce which meant it was tangy and messy to eat. I would've preferred a softer bun though as everything spilled out with every bite. 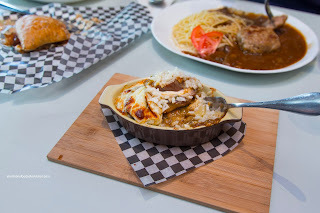 For my second item, I went for their daily special being the Baked Japanese Curry Doria consisting of rich and creamy rice, mushrooms, onions, Japanese curry, chicken broth and eggplant topped with mozzarella cheese. This was a modest portion where the layer of melted cheese was substantial and stringy. Underneath, the tender eggplant was far from mushy while the rice was on the softer side. 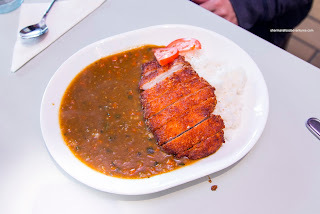 It was decently flavourful in a subtle manner despite the presence of curry. I would've liked to see a bit more of it as the dish could've used more impact. Milhouse ended up with an actual curry in the Pork Cutlet Curry with rice. I've had this before and it was not different featuring sweet and thick curry with lots of tender bits of veggie. There was more than enough for the rice and lean pork cutlet which was tender despite the lack of fat. 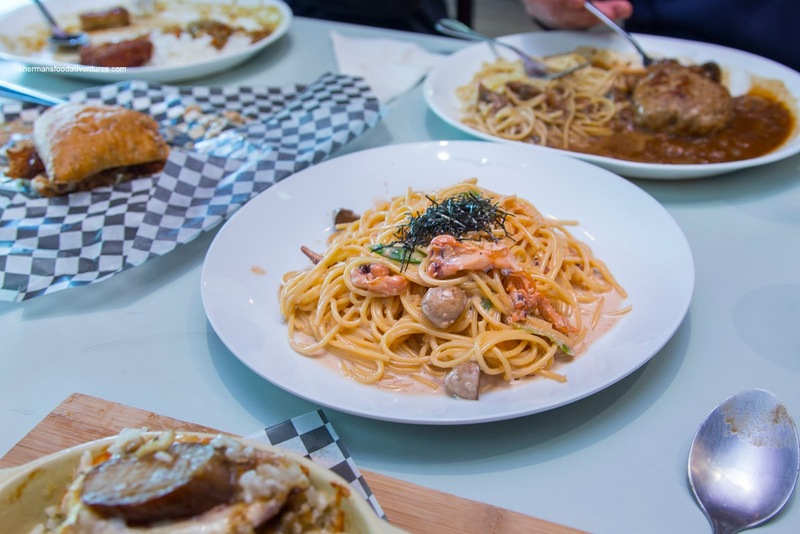 Kaiser Soze went for the Masago Spaghetti with squid and fish roe. This arrived emanating an seafoody aroma which was quite intoxicating. One bite and it was pretty evident that the briny seafoodiness of the masago was the dominating flavour. It was in a good way though with a certain sweetness accented by a light cream sauce. The spaghetti itself was nicely al dente and properly seasoned. JuJu decided on the Hayashi Beef Spaghetti with hamburger steak. Similar to the meat gravy on top of our poutine, this ate hearty with a mild meatiness and slight sweetness. The steak itself was fairly tender and loose with the sweetness of onions (maybe too many onions). 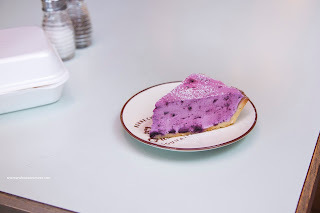 For dessert, I ordered a slice of their Blueberry Cheese Tart which was in a beautiful shade of milky purple. One bite and the essence of cream cheese was very strong (in an almost yogurt-like manner), but the blueberry came through as well. It was not overly sweet and the texture was in between light and heavy. 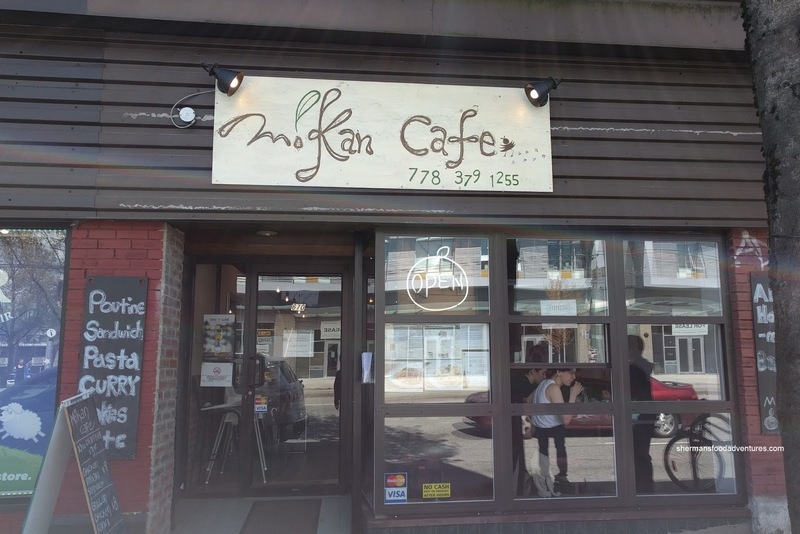 This visit to Mikan was a bit strange for me. They are affiliated with Cafe L'Orangerie and my visit there wasn't exactly that impressive nor memorable. Now I'm not saying Mikan blew my mind either, but I thought it was better for some odd reason. But really, considering the lack of Yoshoku cuisine in Vancouver, there is really no competition for Mikan and Cafe L'Orangerie.